Royal Leamington Spa is a luxurious spa town in the centre of Warwickshire, England. Also known as Leamington Spa, Leamington or even 'Leam' to the locals, this place boasts a town centre with over 400 shops. This includes an unparalleled amount of independent retailers and some of the best high streets around. In addition to being one of the biggest towns in England, Royal Leamington Spa has a variety of pubs and bars due in part by its proximity to Warwick University. This means that there is a variety of places to eat and drink that cater to all kinds of people. 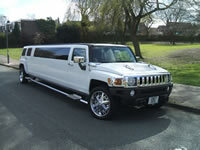 Hire Hummer Limo is a professional service that specialises in the ultimate limo for hire, the stretched Hummer. We have a great range of different Hummer limousines for hire that may surprise even the most limo savvy clients out there. Our chauffeurs are certified, friendly people who are dressed smart and raring to go, a feeling that we are sure is mutual! Each and every Hummer limousine for hire at Hire Hummer Limo has been checked and approved according to VOSA approval requirements. This means that any limousine you hire with us is safe and secure; leaving you only to worry about how many people you want to take with you! 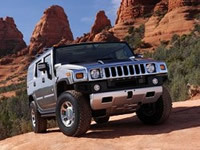 Hire Hummer Limo has lots to offer regarding limos for hire. Starting with Hummer cars and stretching right up to the massive Hummer 8-wheeler, our selection of Hummers is unrivalled to this day. 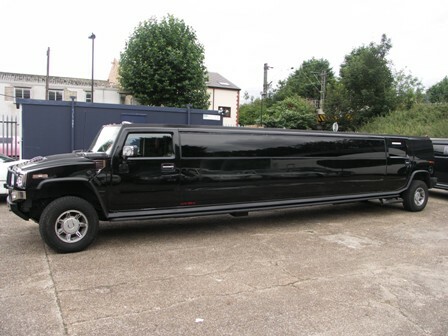 Hummer H2 limousine hire is the chance to ride in one of the most recognisable vehicles in the world. With its iconic exterior and A-list status, the Hummer H2 limo hire has a lot going on inside. Should you judge a book by a cover in this case, you may end up with even more than you bargained for. This fantastic limo for hire comes in a choice of five colours and it is one of the most versatile limousines in the world. Whether intended for a promotional event, corporate event, school prom, wedding or birthday the Hummer H2 is bound to impress. Another limousine for hire that demands attention is of course the gigantic Hummer 8-wheeler. This impressive limo for hire has more features than even the most spectacular sports utility vehicles out there, and it also has some features that are exclusive to the Hummer 8-wheeler, such as the VIP room in the rear! Please feel free to explore Hire-Hummer-Limo.co.uk, as our site has the full selection of our limos for hire as well as their individual features, perks and abilities. Hire Hummer Limo always hopes its customers leave with a smile on their face.